Polly Umrigar - meherbabatravels jimdo page! M. G. Bhave, the secretary of the Poona Cricket Association, requested Baba's darshan and blessing for the team of seventeen Indian cricketers who were about to leave for England for the upcoming test match. 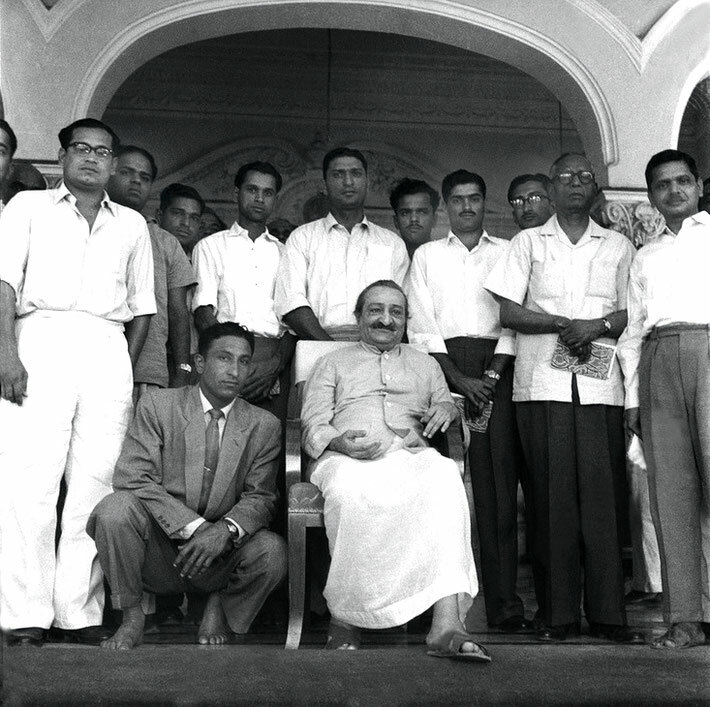 Baba made an exception to the darshan-only-on-Sundays rule and agreed to see the cricket team on Thursday, 2 April 1959, at 9:00 A.M. That day Baba was ready in the hall of Guruprasad at exactly 9:00 A.M., but as the cricket players were undergoing a medical examination the same day, they were delayed. Of all games, I love cricket the most. I used to play as a boy. I was particularly good behind the wickets. I was a member of the junior cricket team of St. Vincent High School which I attended, and I was selected as a wicket keeper even on the senior team. Ever since my childhood days I was always chosen as the leader by my schoolmates, and whenever there was a quarrel or fight among the students, I was invariably chosen to arbitrate between the quarreling parties. When I was a child, children were attracted to me. When I grew up, God was attracted to me. And when I became one with God, people all over the world became attracted to me. 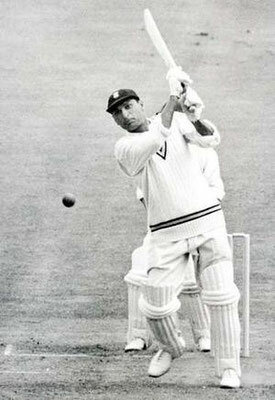 After St. Vincent's, I went to Deccan College; and there, too, I played many matches. Once a cricket match was being played on the grounds of the Poona Club. 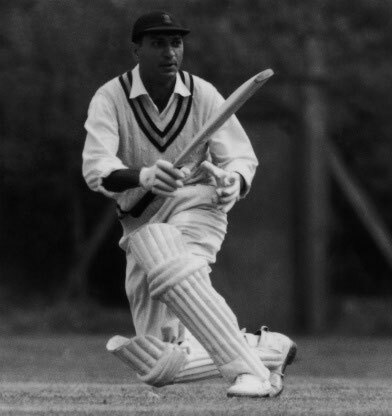 [Mirza] Yusuf Baig, the famous all-rounder of those days, was batting. Yusuf knew of my ability in wicket-keeping and he challenged me to "out" him. I accepted his challenge. Yusuf played the first four balls very carefully, but he stepped out of his place a bit to strike the fifth ball. That was his undoing, as my throw shattered his wickets and he was out. I won the challenge. Yusuf Baig came over and congratulated me. Although nowadays I am not playing games, I am still interested in watching matches, especially cricket. If I happen to pass the grounds near the Maharashtra Club or the Deccan Gymkhana, I stop the car and watch the play. Very few important test matches have missed my presence. I have been to Delhi to see the match between the Indian and West Indies teams. Last year I was in Ahmednagar to watch the Ranji Trophy match. The D.S.P. [District Superintendent of Police] saw me come into the spectators' lounge. By that time a crowd collected all around me. More than seeing the match, they wanted to gaze at me! Just to save the spectators any disturbance, I left early. I have often explained that my visits to witness cricket matches and sitting among crowds intently watching the game has a great spiritual purpose behind it. I love children. When I meet them, I become like a child. I love to play marbles with them, fly kites and play cricket. Often when I am driving in the car, and if time permits, I find small children playing cricket with a plank as a bat and a rubber ball, I ask the car to stop and watch the game with interest. 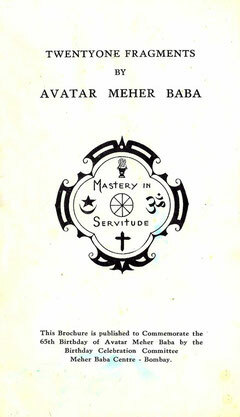 Polly ( left ) & Nari Contractor standing behind Meher Baba at Guruprasad, India. 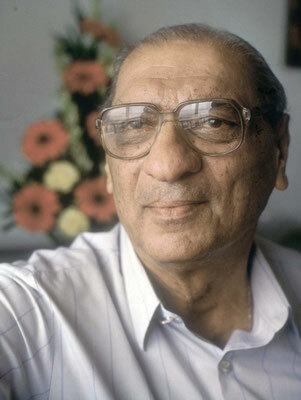 While describing his childhood days and love of games, Baba told the reporters: "I am one with God, and when you write reports of this meeting in your newspapers, you should include also that, as One with everything and everybody on all levels of consciousness, I live all the respective roles at the same time." Thus, for almost an hour through signs and gestures, Baba replied to the questions of the reporters. Finally, the cricket players appeared in the hall. One of them asked Baba to bless the team so that they would play well in England. Baba said: "Embrace me with all your hearts and love, and be sure to take my love with you to England. I bless you. Don't be nervous because of your poor showing with the West Indies team. If you play with one heart, my love will help you to win at least one test, and on the whole you will put up a better show than you did with the West Indies. But all will depend on your love for me. Take my love with you and you will shine well." In going to England to represent India in the field of sport, you also have the unique opportunity of practicing and of conveying to the people there the great spiritual lessons of concentration and love. When you take the field, and if you play as eleven men with one heart, each enjoying the excellence of performance in another player as he would in himself, whether that player is on your side or on the side of the opposing team, and so eliminating feelings of jealousy, anger and pride, which so often mar the sport — you will not only be entertaining the spectators, but demonstrating the real spirit of sportsmanship. True sportsmanship is concentrated ability, enlivened with appreciation of the performance of others. And when this is manifested, everyone present, both players and spectators, receives spiritual upliftment as well as good entertainment. Some of you are "all-rounders." I am the greatest spiritual "all-rounder" of all times, because I feel equally at home with saints, yogis, philosophers and cricketers, as well as with so-called sinners and scoundrels. I give you my blessing that in all your actions you show forth the spirit of love. 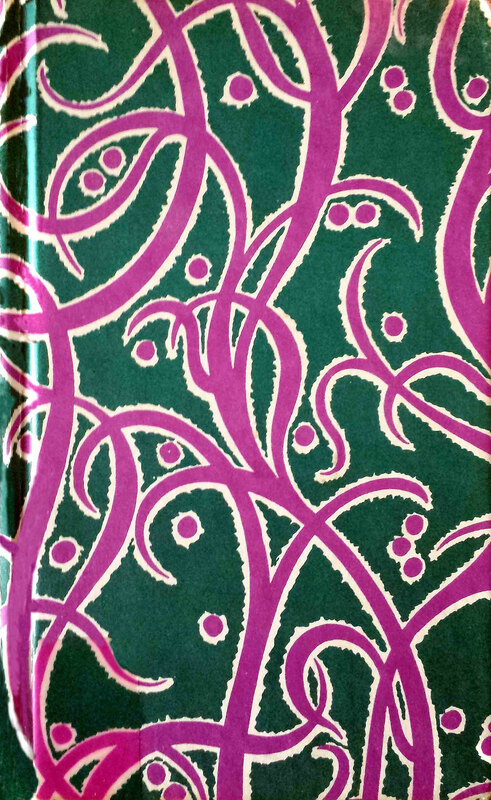 Book cover of "Life at its Best" & brochure cover of "21 Fragments"
Sunday, 17 April 1960, was a very crowded day at Guruprasad. Thousands attended the darshan from 8:00 A.M. until noon, including a Zoroastrian high priest named Dastur Bodh, who had heard of Baba while in America. Polly Umrigar, the well-known Indian cricket player, also came with his wife Dinoo. Baba again gave a parting embrace to each player. Several had come to Baba with feelings of wonder, inquisitiveness and curiosity. But after meeting him and receiving his love, they departed with new enthusiasm, love and reverence for him. Two of them, Polly R. Umrigar, 33, and Nari Contractor, 25, became devoted followers. Pendu was also very fond of following cricket matches, listening to the radio to find out the score. When the test match was being played in England, Pendu came and stood outside Baba's bedroom. Bhau was on watch and Baba asked who was outside. On being told, he called Pendu. Joining his hands, Pendu entreated Baba, "Baba, make Nari Contractor [the captain of the Indian team] win the match!" At this simple-hearted request, Baba laughed and replied, "We shall see." "It is not a matter of seeing," Pendu persisted, "you have to make him win the game." Baba was much amused and asked Pendu to leave. Pendu went but shortly was back with the same request. Baba gestured to him, "We shall see. Why are you so worried?" Baba heard Pendu's prayer. 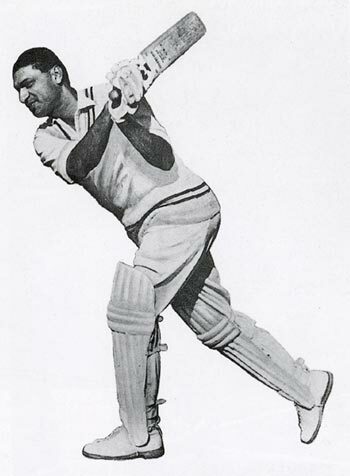 Despite an injury to his ribs, Nari Contractor scored 84 runs for India's side and the team won. Baba himself was so fond of cricket that on one exceptionally busy morning, he remarked, "The poor Avatar has all this to do when he would much rather be watching a good game of cricket!" Sunday, 5 June 1960, was the largest public darshan that summer. An estimated 10,000 persons poured into Guruprasad seeking the God-Man's touch. Again, two sessions were held: from 8:30 until 11:00 A.M. and from 2:00 until 3:30 P.M. Yogi Shuddhanand Bharati had also come that day, as had Nana Kher, Harjiwan Lal, Todi Singh, the Raja of Kurundwad, Pilamai Irani and her family, Nari and Dolly Contractor, Polly and Dinoo Umrigar, Soonamasi, Naggu, Haribhai Patel, Jagannath Maharaj, Maniben Parakh, Niranjan Singh, Adi P. Ghaswala of Bombay, Yeshwant Rao of Sakori and the Ahmednagar bhajan mandali. A man named Swami Anand also came with an Australian and a Scotsman. Irwin Luck sat next to Baba throughout the program and was overwhelmed by the procession of humanity filing past him. Baba loved the game of cricket from his childhood. 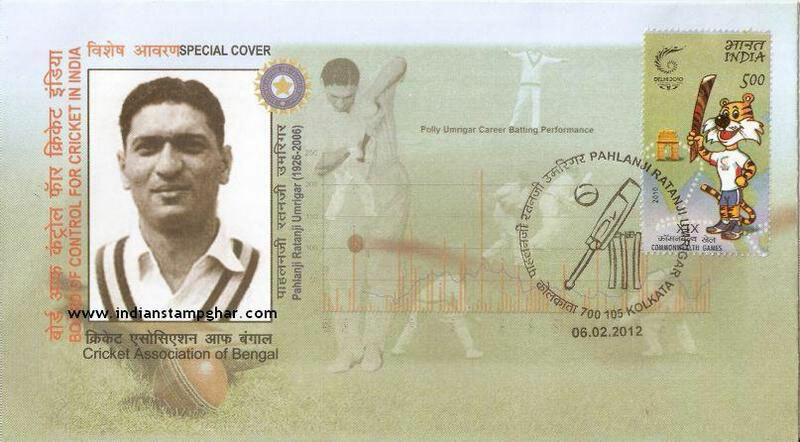 In 1959, he promised one of his devotees, Nari Contractor, a professional cricketer, that he would make it possible for him to lead the Indian cricket team. Later that year when the team went to England, Nari was in fact made captain. Polly Umrigar, another Baba-lover, was also on his team, and the captaincy should rightfully have been his. In 1962, the Indian cricket team went to the West Indies for a match. On 17 March a ball struck Nari in the head, resulting in a serious injury. He was taken to a hospital, where a four-hour emergency operation was performed. That afternoon, Guruprasad was filled to overflowing during a program of qawaali singing held from 4:00 to 6:30 P.M. 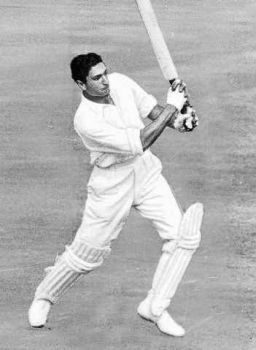 Many from Bombay and Poona were present, including the cricket players Polly Umrigar, Nari Contractor and his wife Dolly, and the Khilnanis. Siddiq Qawaal from Jaipur was the singer that day and he put his heart and soul into his music, making Baba very happy. Later that day , Vishnu, one of Baba's long term men mandali passed away. A few bhajans were sung, followed by arti, after which the cricket players departed. Lovers and devotees again filled the hall and heard Deshpande sing until 4:30 P.M. Those who had not embraced Baba that day came to him for a parting embrace after the program was over. The next day, the Times of India printed an article on their sports page with the headline: "Go In For Bright Cricket, Says Meher Baba." 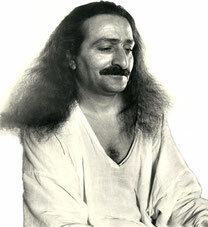 The Indian Express also carried a story of the unique event, and one newspaper reported: "Meher Baba has a big following of cricketers, prominent among whom are India's captain Nari Contractor, Polly Umrigar, Khandu Rangnekar and others." Baba went to the mandali's room at 6:45 A.M. the next morning, 16 June 1963. He asked them to repeat this invocation: "O God! Help us all to hold on to Baba's daaman until the very end!" Nari Contractor and Polly Umrigar, the two cricket players from Bombay, arrived. Baba embraced them, conveying how happy he was to see them both. Then Baba entered the hall. Long lines of devotees waited for his darshan, since this was the last day Baba would be meeting with his lovers. Music was played and the darshan began. At 8:30 A.M., Harry Kenmore recited the Master's Prayer. At 10:30 A.M., Baba's arti was sung and all departed. Baba came to the side room half an hour later and met Polly Umrigar, Nari Contractor and three other Parsi cricketers from Bombay. He reminisced with them about his school days when he used to play cricket, and then stated, "To know me as I am is very difficult. I am Infinite and I experience it continuously. Only a rare one experiences this state." 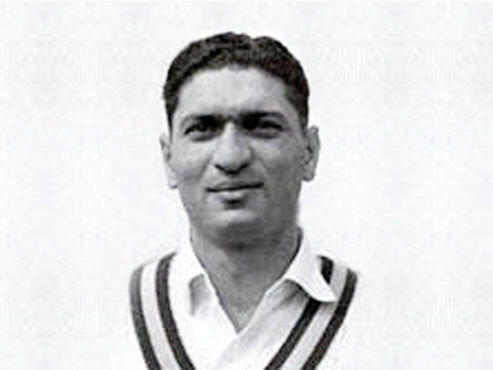 Baba commented to Nari Contractor, the cricket team captain, that he often wished to witness good cricket matches, but people would not allow him to do so in peace. 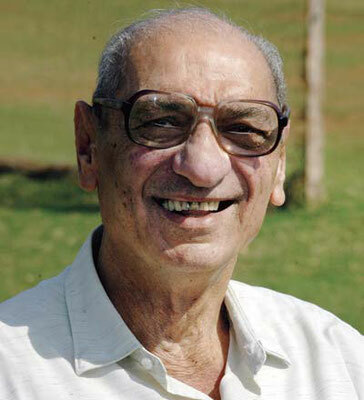 Nari invited Baba to Bombay, saying he would make all the arrangements for him to see a match undisturbed. Baba replied, "For nine months, I shall be at Meherazad, and I want to remain undisturbed. I may remain for many days without food and water. When I break my silence after nine months, the world will come to me, for they shall then know who I am. But there is no charm in coming to me after I break my silence. Blessed are those who come to me now!" He added, "Truth cannot be hidden. If there were no Truth, no amount of words and shows can help my divinity. If Baba were not Baba, of what use would it be if so many came to see him?"